Washington • Utah’s political leaders paid tribute Saturday to former President George H.W. 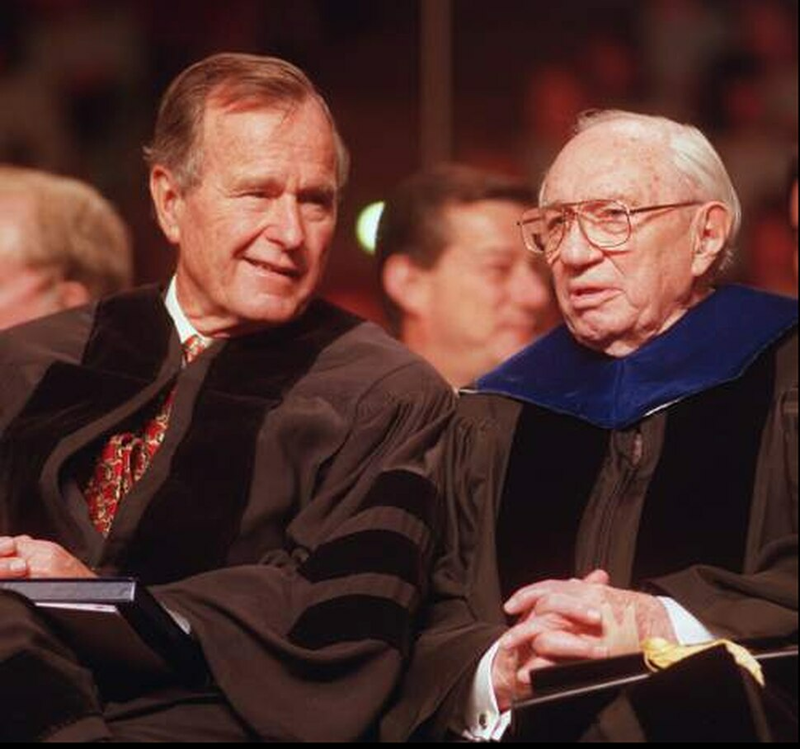 Bush, who died late Friday at age 94. The World War II aviator who served as a congressman, CIA director and U.N. ambassador and presided over the final days of the Soviet Union, was a statesman who brought out the good in people, the Utah political figures said. 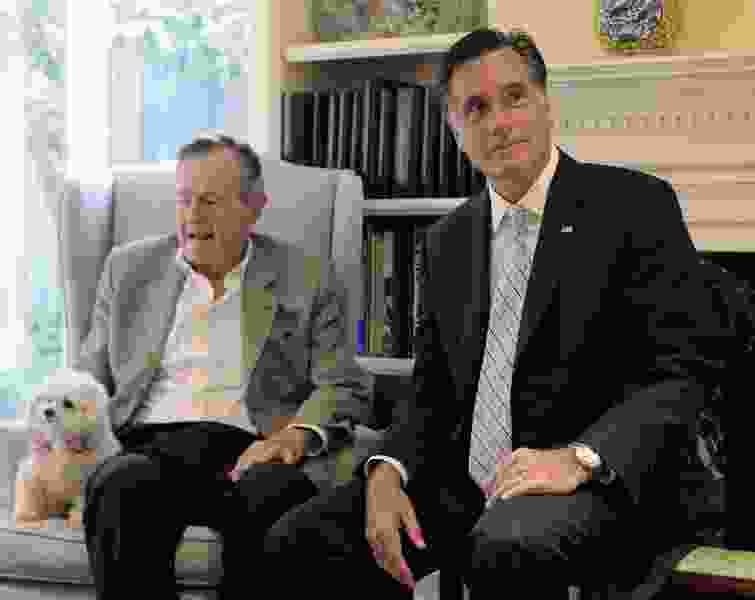 Romney and Bush were close, and the senator-elect noted Saturday how much he appreciated Bush’s contributions. When Romney first ran for president in 2008, Bush offered up his presidential library in Texas for the candidate to speak about how his faith in The Church of Jesus Christ of Latter-day Saints would influence his politics. “The breadth and depth of his service are without parallel,” Hatch tweeted. “Before rising to the highest office in the land, he was a decorated Navy pilot, a congressman from the state of Texas, an ambassador to the United Nations, a CIA director, and of course, the vice president of the United States. He was the man who pulled back the Iron Curtain, shining the warm sunlight of freedom where freedom had grown cold. His influence — in global affairs, in American domestic policy, and in our hearts — cannot be overstated. “Today,” Hatch continued, “we mourn the passing of one of the finest gentlemen I ever knew. May our 41st president rest in peace with his beloved Barbara." (Photo courtesy Sen. Orrin Hatch's office.) 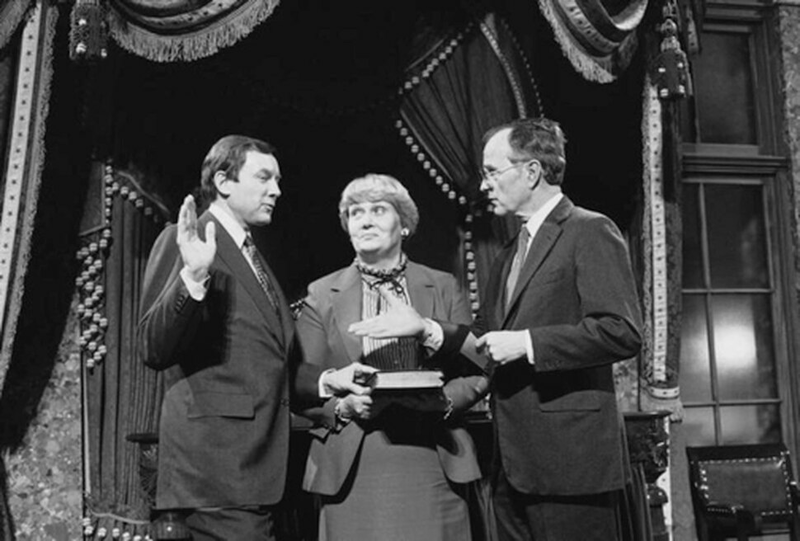 Vice President George H. W. Bush swears in Utah Sen. Orrin Hatch for a second term in office on Jan. 3, 1983. Bush’s wife, Barbara, died in April. Sen. Mike Lee, R-Utah, called Bush a “man of the highest character” and heralded him for dedicating his life to serving his country. “His grace and wisdom will be sorely missed,” Lee said. In 1989, The Tabernacle Choir at Temple Square performed for Bush at his inauguration at the U.S. Capitol. Top leaders of the LDS Church on Saturday said they were grateful for Bush’s life and service to the country. Bush visited Utah several times, including swooping into the state to publicly kick off then-Sen. Bob Bennett’s re-election campaign in 1998. Rep. Mia Love, R-Utah, said she was mourning Bush's death but celebrating his life. Utah Gov. Gary Herbert said the former president will be “sorely missed.” Herbert ordered the U.S. and Utah flags lowered to half-staff for the next 30 days in remembrance of Bush, though on Wednesday they will be lowered for the funeral of South Salt Lake police officer David Romrell. He was hit and killed by a car Nov. 24. President George H.W. Bush will be sorely missed. He was a great example, the patriarch of our country, and a devoted servant to all. He was loved and respected by everyone. He was a man of great character and integrity. Rep. John Curtis, R-Utah, also showered praise on Bush. “We lost a great American today,” the congressman tweeted, noting he and his wife, Sue, send their best wishes to the Bush family. Curtis added a tribute to the former president, who was the 41st American commander in chief.